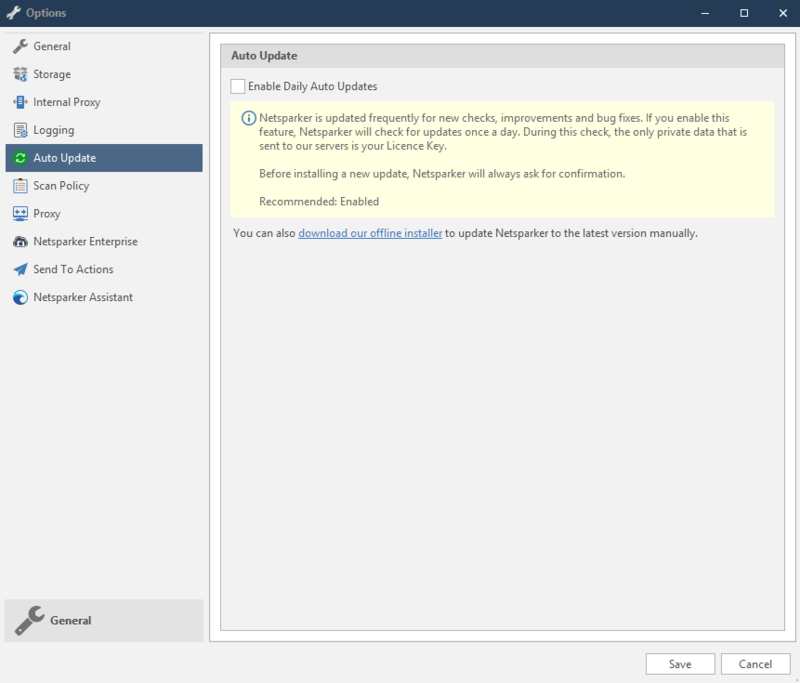 In the Auto Update tab, you can enable daily auto updates for Netsparker improvements and features. You can also download Netsparker’s offline installer to update the latest version manually from here. Click the Auto Update tab. Enable the Enable Daily Auto Updates checkbox.